← Operation “Move Daddy Down the Hall” a success! I love the stuff Stephanie Pearl-McPhee writes about knitting. 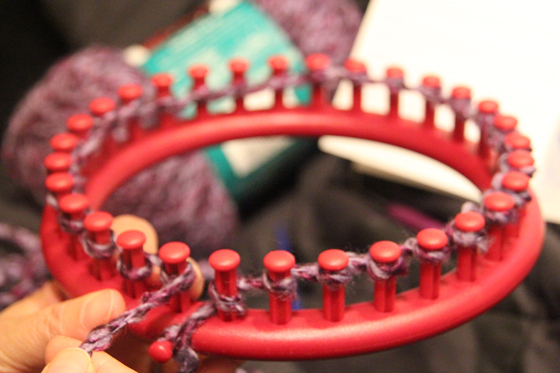 I don’t know why, exactly – I can only knit on a loom I bought at Hobby Lobby, since it doesn’t require two coordinated hands – but I love to hear about her choice of yarn, the patterns she picks out, the projects she’s working on. Knitting vicariously, I guess…. but too, she is FUNNY! I keep thinking, someday I’ll learn to knit, but until then, I’ll enjoy it through the eyes of Ms. Pearl-McPhee. This entry was posted in Uncategorized and tagged blog of the week, knitting, looms, yarn, Yarn Harlot. Bookmark the permalink.